Pankration was one of the most popular combat sports in ancient Greece. It combined two other popular sports of antiquity, wrestling and boxing, but kicking was allowed as well. 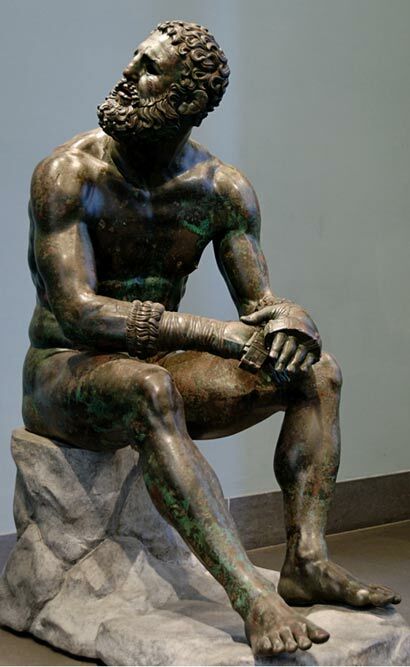 The name Pankration derived from the ancient Greek words παν and κράτος, which implied that the winner of the sport was the one who had complete power and control of his foes. The participants were called pankratiasts. Polydamas of Skotoussa and Theagenes of Thasos were two of the sport’s most dominant and well-known Olympic champions in antiquity. 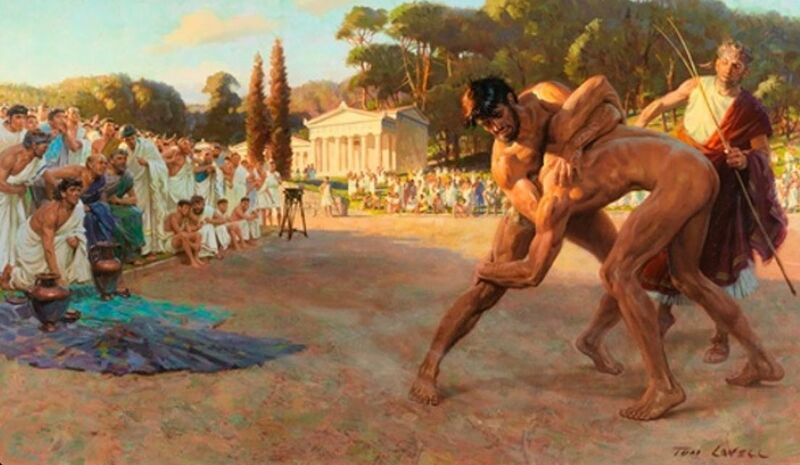 Pankration was first introduced at the thirty-third Olympics in 648 BC. It impressed the crowds immediately because it was more diverse and exciting than any other combat sport they had seen. Despite offering an exciting and spectacular show to the fans who loved violence and blood, many times it could become extremely dangerous for the pankratiasts and there are several recorded cases in which the fight resulted in severe injuries, or even death, to one of the opponents - usually the one who was losing and refused to surrender. For that reason, and as most Greek city-states were becoming more sophisticated and civilized, the men’s pankration was gradually replaced by the pankration for boys, which was a much less intense version of the sport. This version officially entered the Games in 200 BC. One of the most impressive facts about pankration is that there weren’t weight divisions as is the norm for every modern combat sport; there were no time limits either, and a contest wouldn’t finish until one of the two opponents surrendered. However, due to the many deaths of contestants taking place inside the arena, after a certain chronological point (estimated to be post 200 BC as well) the judges had the right to stop a contest if they thought that the life of one or both of the athletes was in danger. The referees were also armed with stout rods or switches to enforce the two rules of combat: no eye gouging or biting. The fight wouldn’t finish until one of the combatants was knocked out or accepted defeat, which the loser signaled by raising his index finger. Nonetheless, contemporary historians who have researched and studied the history of pankration have come to the conclusion that this martial art is much older in reality than most historians originally thought. The first mention of pankration takes us back to the mythological stories of Heracles and Theseus who, according to the myths, both used techniques of pankration to fight the Nemean Lion and the Minotaur, respectively.